Last Friday saw the release of the three much awaited films – Saif Ali Khan’s Bazaar, Sharman Joshi’s Kaashi and Rajkummar Rao’s 5 weddings. Amongst these films, it seemed that Bazaar was the most appealing one to the audience and now the box-office collections justify the fact. Trade analyst and film critic Taran Adarsh shared the collection of the film through his twitter account. His Tweet read “Baazaar witnessed a positive upturn on Day 2 and Day 3… Mumbai circuit is dominating its biz… Weekdays are extremely crucial… Has to maintain the pace for a respectable Week 1 total… Fri 3.07 cr, Sat 4.10 cr, Sun 4.76 cr. Total: âÂ¹ 11.93 cr. India biz”. 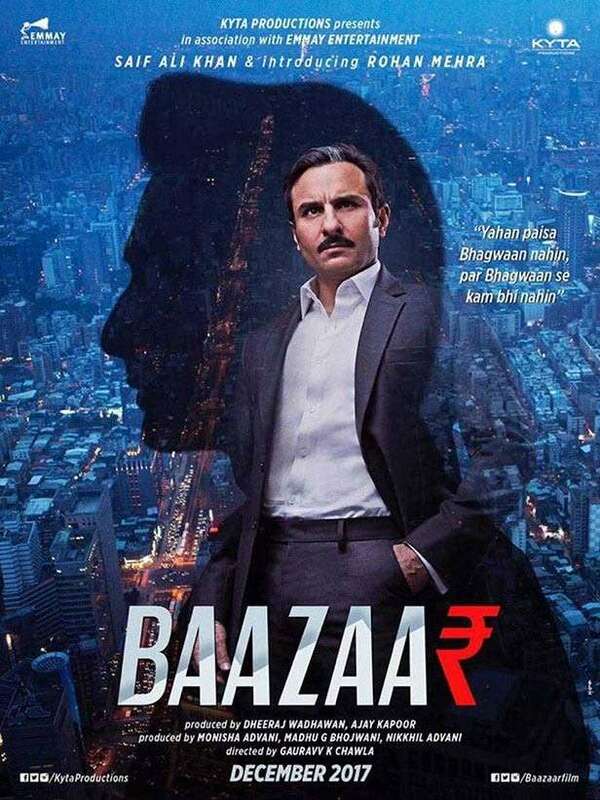 #Baazaar witnessed a positive upturn on Day 2 and Day 3… Mumbai circuit is dominating its biz… Weekdays are extremely crucial… Has to maintain the pace for a respectable Week 1 total… Fri 3.07 cr, Sat 4.10 cr, Sun 4.76 cr. Total: âÂ¹ 11.93 cr. India biz. Starring Saif Ali Khan, Radhika Apte, Chitrangada Singh and debutant Rohan Mehra, the film is set in the fast paced world of the stock market. Saif plays a sharp and money-minded businessman who takes Rohan Mehra’s character under his wings in the film. This is also the second time Saif Ali Khan has collaborated with Radhika Apte after the critically acclaimed Sacred Games.